Make a statement the next chance you get a chance to dress up in your formal black suit or even fancy tuxedo. 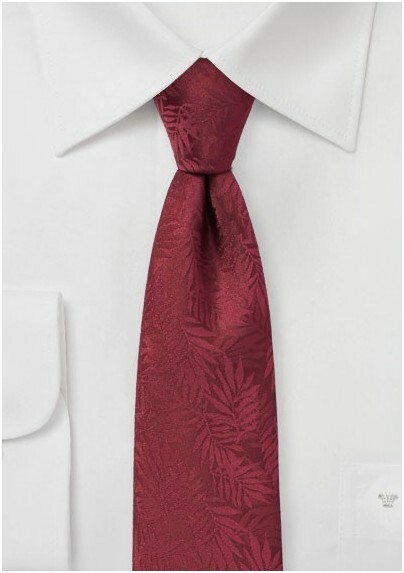 The dark wine red adds elegant color to all your formal get ups while the monochromatic palm leaf design throws in some contemporary design element. This new design by PUCCINI also comes in dark navy, cream, and light silver. 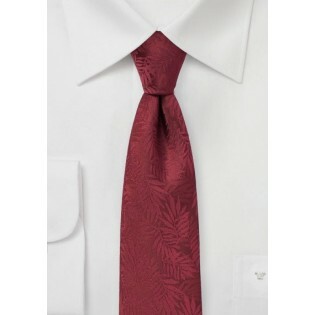 Made by hand from finest microfiber fabrics.